Eiko I. Fried with the latest in our series for budding writers (see www.bps.org.uk/newvoices for more information). 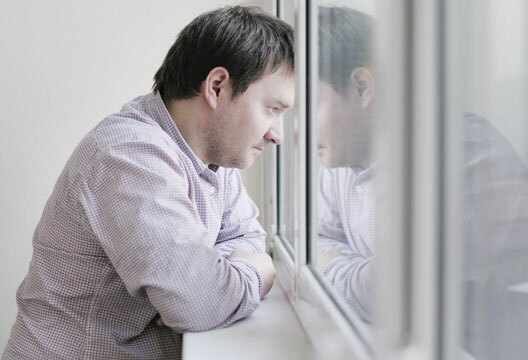 Major depression (MD) is the most common mental disorder, and among the most disabling diseases in the world. Despite tremendous efforts and investments, research results of the last decades have been disappointing at best. Drug efficacy and biomarkers are good examples: antidepressants do not substantially outperform placebos (e.g. Pigott et al., 2010), and large genetic studies have consistently failed to identify any biological correlates of depression (e.g. Daly et al., 2013; Hek et al., 2013). While the most common response to these setbacks is calling for larger samples – Hek et al. called for the investigation of 50,000 participants in their study of 34,549 individuals – the idea that we are doing something wrong on a very fundamental level remains largely unaddressed. Let us conduct a typical depression study together. We start with the hypothesis that depressed individuals differ from healthy controls in one particular aspect, for example their genetic architecture. The first step is to identify depressed and healthy people so we can compare them. To do so, we examine depressive symptoms such as sad mood, fatigue and appetite problems in a large sample, using clinical interviews or self-report questionnaires. Symptoms of each participant are added to a sum that reflects a person’s depression severity, and we use a certain threshold to classify individuals as healthy or depressed. The Diagnostic and Statistical Manual of Mental Disorders (DSM-5: APA, 2013), for instance, requires the presence of at least five depression symptoms for a diagnosis, and questionnaires like the Beck Depression Inventory have specific cutoffs to separate disease states from normal functioning. Once we have obtained our two groups, we compare them regarding our variable of interest. This experiment is paradigmatic of depression research: sum-scores of symptoms are used universally, and cutoffs distinguish between clinically depressed and healthy individuals. This procedure contains two major problems that have substantially contributed to the lack of progress in important research areas. First, depression is studied as if it were a specific consistent syndrome similar to medical conditions such as measles, despite its pronounced heterogeneity. It is striking how many problems are considered ‘depression symptoms’. The DSM-5 defines nine symptoms of MD, and a diagnosis requires the presence of at least one of the two core symptoms, and at least four of the seven secondary symptoms. Since nearly all DSM symptoms are compounds (e.g. loss of interest or loss of pleasure, insomnia or hypersomnia), around 20 distinct symptoms for depression are listed in the DSM. In addition, common rating scales of depression, such as the Beck or Hamilton scales, encompass a host of symptoms not defined in the DSM (for instance irritability, guilt, hypochondriasis). In sum, the idea that every person in a ‘depressed’ sample has the same condition contrasts with decades of clinical experience and scientific evidence. Recent studies have shown this dramatic heterogeneity of the depressive syndrome (e.g. Olbert et al., 2014), and we recently identified 1030 unique symptom profiles in 3703 depressed patients (Fried & Nesse, 2015a). Nonetheless, all participants are commonly grouped into one diagnostic category, and the search for causes or biomarkers proceeds as if depression were a distinct and specific disease. The second problem is that depression symptoms such as sadness or fatigue are understood as interchangeable indicators of an underlying disease, and added to sum-scores to reflect depression severity. This procedure is again derived from the rest of medicine, where it makes a lot of sense. Because symptoms are passive consequences of a disorder, they can be considered equivalent and interchangeable. The nature of symptoms is irrelevant – a doctor is not interested in the particular measles symptoms as long as the presence of measles can be determined reliably. What counts is the number of symptoms. But individual depression symptoms differ in important aspects, which contrasts with the practice of sum-scores. Biological studies examining symptoms have established that specific symptoms have specific biomarkers, depression symptoms differ in their risk factors, and certain symptoms are much more impairing than other symptoms (for a review, see Fried & Nesse, 2015b). It matters greatly whether someone exhibits fatigue or suicidal ideation. It is also difficult to imagine that one disorder causes symptomatic opposites such as psychomotor agitation and retardation, weight gain and weight loss, insomnia and hypersomnia – all of which are defined in the DSM-5 as symptoms of MD. It is even more difficult to imagine that depression causes the other 50+ symptoms commonly used in rating scales of depression. On top of that, the fact that particular life events trigger specific symptoms of depression (Fried, Bockting et al., 2015; Keller et al., 2007) is not consistent with the idea that all depression symptoms are results of one common cause (which is often assumed to reside in the brain). Finally, it is obvious that insomnia can cause fatigue, that rumination can trigger concentration problems, that reduced appetite can lead to weight loss. While depressed patients often suffer from problems that fuel each in vicious circles, sum-scores and common statistical models ignore such reciprocal interactions among symptoms (Borsboom & Cramer, 2013). Three steps could move the field forward substantially. First, it would be beneficial to break down sum-scores to individual symptoms and examine them separately. The low efficacy of antidepressants may be due to certain drugs increasing depression symptoms, such as sleep problems, while decreasing others, such as sadness; the analysis of sum-scores conceals these effects. Genetic studies may have resulted predominantly in null-findings because studies based on sum-scores can only capture the shared genetic variance of all symptoms, which is likely very small. And the role of inflammation in the etiology of depression may be largely unresolved because the majority of studies examine sum-scores instead of symptoms. Second, we need to investigate causal associations among symptoms. Depressed patients often suffer from problems that fuel each other, and while this has been common knowledge among clinicians for decades, it has only recently gained broader attention in psychopathological research (Borsboom & Cramer, 2013; Fried, 2015). Studying the way symptoms shape each other across time will provide substantial insights to develop intervention and prevention programmes. Finally, we have ignored the idiographic aspects of psychopathology for too long (Molenaar, 2004), which is especially problematic for a disorder as heterogeneous as MD. Recent advances in mobile phone software allow researchers to closely follow single participants over time, with multiple measures a day, which will help us understand how psychopathological problems trigger each other on a highly individualised level (Kramer et al., 2014). In 1909 it was observed that Emil Kraepelin, the founder of modern psychiatry, ‘performed a great service by showing the importance of making a closer study of the symptomatological picture and demonstrating the value of certain symptoms as prognostic guides’ (Kirby, 1909). While such calls for the analysis of individual symptoms and their interactions are over a century old – and have been repeated throughout the history of medicine (e.g. Costello, 1993; Persons, 1986) – they have been largely ignored in research. One reason for this is that multivariate statistical models with many different symptoms are often complex and can require advanced statistical knowledge. Another problem is that both laypeople and researchers have the tendency to essentialise mental disorders like depression, and understand them as clear and distinct diseases with clear and distinct causes. This has fostered simplistic thinking and research questions such as ‘What is the cause of depression?’. Lastly, the prevalent idea of depression as brain disease that causes all symptoms downstream has promoted the problematic notion that symptoms only serve as uninteresting, passive and interchangeable indicators of an underlying disease that we aim to measure and cure. Studies of complex dynamic systems in economics, environmental sciences, and bioinformatics have shown that important insights can be gained from the analysis of highly multivariate data.In my own work as a postdoctoral research fellow at the University of Leuven, I have been adopting a novel symptom-based approach with a number of colleagues at different institutions. We have documented that individual symptoms of depression differ in their risk factors (Fried et al., 2014) and impact on impairment (Fried & Nesse, 2014), and recently reviewed over 100 studies that identified crucial differences among depression symptoms (Fried & Nesse, 2015b). We have highlighted the problematic assumptions that underlie current depression studies (Fried, 2015), shown that depression is a highly heterogeneous disorder (Fried & Nesse, 2015a), and that specific life events such as bereavement are associated with specific depression symptom profiles (Fried, Bockting et al., 2015; Fried, Nesse et al., 2015). Currently, I’m investigating the potential benefits of this framework for other mental health conditions such as psychosis and PTSD. APA (2013). Diagnostic and Statistical Manual of Mental Disorders (5th edn) Washington, DC: American Psychiatric Association. Borsboom, D. & Cramer, A.O.J. (2013). Network analysis: An integrative approach to the structure of psychopathology. Annual Review of Clinical Psychology, 9, 91–121. Costello, C. (1993). The advantages of the symptom approach to depression. In C. Costello (Ed. ), Symptoms of depression (pp.1–21). New York: Wiley. Daly, J., Ripke, S., Lewis, C.M. et al. (2013). A mega-analysis of genome-wide association studies for major depressive disorder. Molecular Psychiatry, 18(4), 497–511. Fried, E.I. (2015). Problematic assumptions have slowed down depression research. Frontiers in Psychology, 6(306), 1–11. Fried, E.I., Bockting, C., Arjadi, R. et al. (2015). From loss to loneliness. Journal of Abnormal Psychology, 1–10. Fried, E.I. & Nesse, R.M. (2014). The impact of individual depressive symptoms on impairment of psychosocial functioning. PLoS ONE, 9(2), e90311. Fried, E.I. & Nesse, R.M. (2015a). Depression is not a consistent syndrome. Journal of Affective Disorders, 172, 96–102. Fried, E.I. & Nesse, R.M. (2015b). Depression sum-scores don’t add up: Why analyzing specific depression symptoms is essential. BMC Medicine, 13(72), 1–11. Fried, E.I., Nesse, R.M., Guille, C. & Sen, S. (2015). The differential influence of life stress on individual symptoms of depression. Acta Psychiatrica Scandinavica, 131(6), 465–471. Fried, E.I., Nesse, R.M., Zivin, K. et al. (2014). Depression is more than the sum score of its parts. Psychological Medicine, 44, 2067–2076. Hek, K., Demirkan, A., Lahti, J. & Terracciano, A. (2013). A genome-wide association study of depressive symptoms. Biological Psychiatry, 73(7), 667–678. Keller, M.C., Neale, M.C. & Kendler, K.S. (2007). Association of different adverse life events with distinct patterns of depressive symptoms. American Journal of Psychiatry, 164(10), 1521–1529. Kirby, G.H. (1909). The mixed forms of manic-depressive insanity. In Proceedings of the American Medico-Psychological Association (pp.47–462). Kramer, I., Simons, C., Hartmann, J.A. et al. (2014). A therapeutic application of the experience sampling method in the treatment of depression. World Psychiatry, 13, 68–77. Molenaar, P. (2004). A manifesto on psychology as idiographic science. Measurement: Interdisciplinary Research and Perspectives, 2(4), 201–218. Olbert, C.M., Gala, G.J. & Tupler, L.A. (2014). Quantifying heterogeneity attributable to polythetic diagnostic criteria. Journal of Abnormal Psychology, 123(2), 452–462. Persons, J.B. (1986). The advantages of studying psychological phenomena rather than psychiatric diagnoses. American Psychologist, 41, 1252–1260. Pigott, H.E., Leventhal, A.M., Alter, G.S. & Boren, J.J. (2010). Efficacy and effectiveness of antidepressants. Psychotherapy and Psychosomatics, 79(5), 267–279.